Brighton chief executive Paul Barber says work will soon begin on trying to strengthen the squad for next season, while he also expects interest in some of Albion's players. The Seagulls sealed their place in the Premier League for another season with a 1-0 victory over Manchester United on Friday. 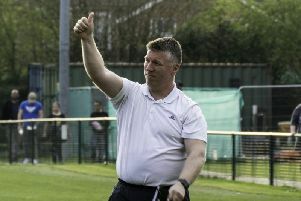 Speaking after the win to BBC Sussex, Barber said: "It's nice to be able to focus, albeit a couple of games earlier than some people predicted, and look forward to next season and to try to get ourselves ready to strengthen again from where we are. "It's a lovely feeling to have got through our first Premier League season and to hit the magic 40 points. "Everyone worked so hard to get to the Premier League and it was such a big effort to stay in the Premier League. To achieve that is absolutely fantastic, we're delighted and I hope everyone is really enjoying it." On looking to strengthen the squad, Barber said: "It's always a balance between being loyal to the players that have achieved so much - not just this season but the season getting up to the Premier League as well - but also giving ourselves the best possible chance of now establishing ourselves as a Premier League club. "We know from what's happened to some of those so-called established Premier League clubs how difficult it is to stay in the Premier League. We're absolutely delighted to have another opportunity and we're really looking forward to next season already." Barber also feels there will be interest in the Albion players who have performed so well in the top flight this season. He said: "You have to accept with some success comes a certain amount of desire for the assets you have. "We've got some very good players. They have proved themselves over a Premier League season to be good footballers and not just that but the spirit they have amongst them has helped us get to the position we're in."